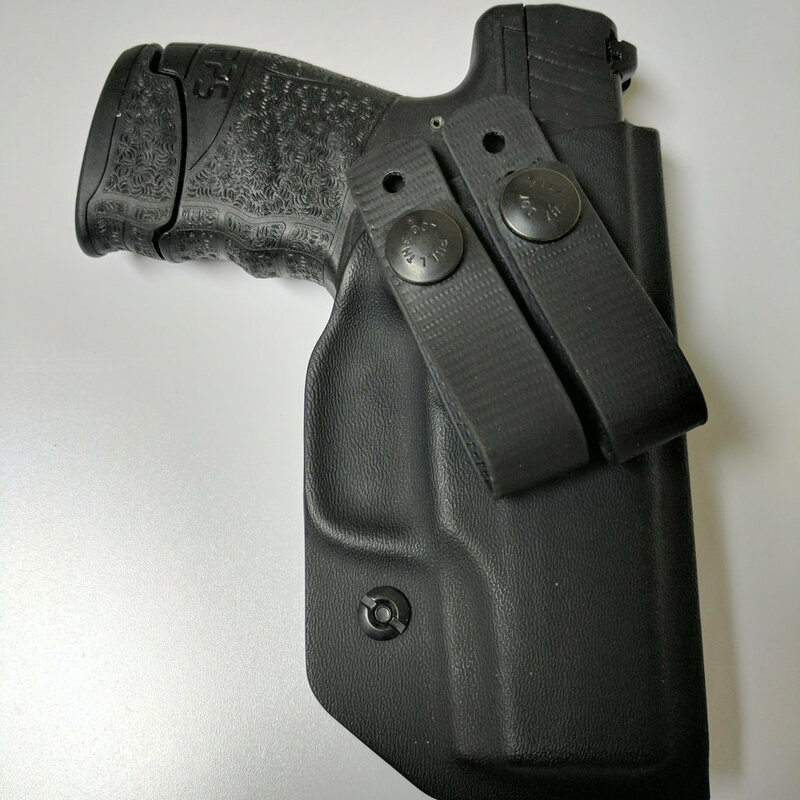 Athena's Armory / Learn / Product Reviews / Ten Reasons Our Kydex Holsters Rock!! 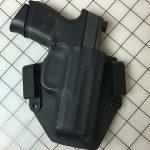 Unsure about what holster to buy? Contact us right away and we’ll help you get it right! Customer service is something we take very seriously and we want to earn your business. In the case of kydex, our holsters speak for themselves – here are ten reasons why our holsters rock! We are proud to say that all of our holsters, as well as all of the components used are made in the USA! Each holster is made by hand and test fitted with an actual firearm to make sure the fit is correct before leaving the shop. 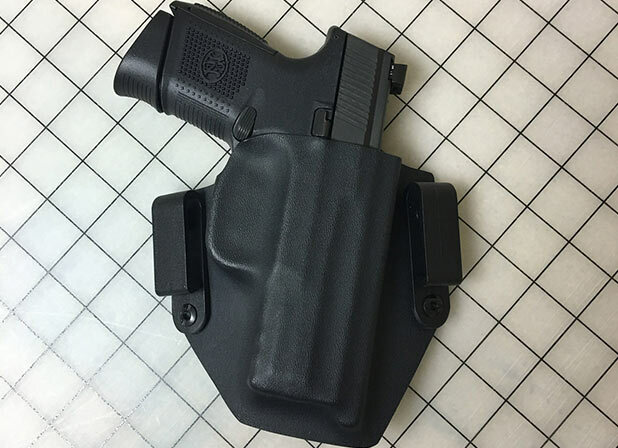 We offer our holsters in virtually every color that Kydex is available in. 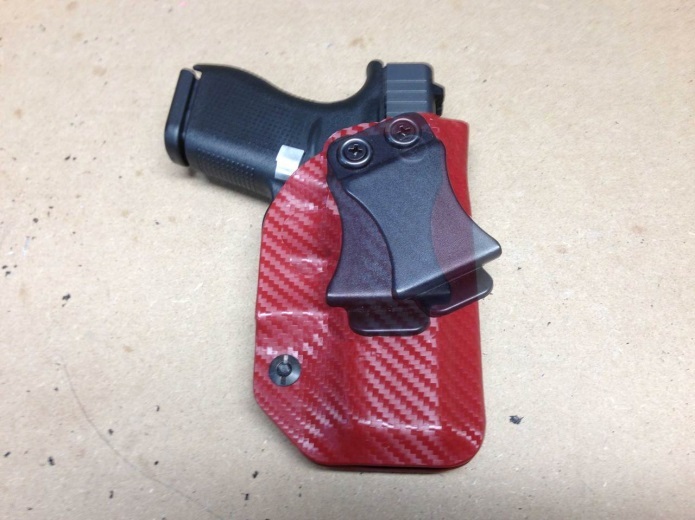 We also offer custom printing for your own design or pattern on our holsters. We offer a lifetime warranty on all of our products against defects. For black standard cant/ride holsters, we offer a 100% satisfaction guarantee. We offer a variety of attachment products – loops, wings, clips, Ulticlips, Fabriclips – to suit your need and many are interchangeable. We use industry standard .080” thickness kydex, which is both durable and lightweight. We can also make holsters in .060, .093, and .125 in limited colors based upon availability. 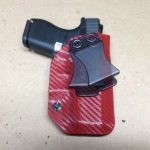 We can make holsters for over 350 gun models! We can customize the cant and ride height to suit your preference. We offer holsters for most trigger guard lasers by Crimson Trace, Lasermax, and Viridian as well as a few others on the most popular hand guns and we do not charge extra for a trigger guard mounted lasers.